Alcatel A30 Price, Review, Deals, Cost, & Sales! Home / Compare Cell Phones / Alcatel A30 Price, Review, Deals, Cost, & Sales! The Alcatel A30 is an entry level phone and if you are on a very tight budget, this device is you best bet. The A30 has a 5" display with 720 x 1280 screen resolution and a pixel density of 294 PPI. In comparison, the CoolPad Defiant has a 5" screen with 480 x 854 resolution and pixel density of 196PPI. This device is equipped with an 8MP rear camera and a 5MP front camera. It features a time lapse mode with is not bad for a budget phone. It has a 16GB onboard drive and supports up to 32GB expansion via microSD. While the CoolPad Defiant has the 8 GB internal drive with support for up to 32 GB via microSD. The Alcatel A30 has a front-firing speaker located at the bottom. Audio quality is good and loud because of its location. This device runs on Qualcomm Snapdragon 210. Performance is sluggish with noticeable lag times. While the CoolPad Defiant runs on Qualcomm MSM8917 Snapdragon 425. Power the device is a small 2460 mAh. It can hold up to 4 hours of screen on time and internet use. It has no fast charging nor wireless charging. 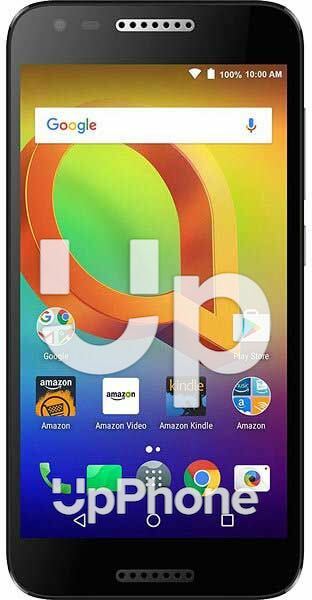 You can grab an Alcatel A30 from Amazon for $60 but with advertisements displayed in the home screen. This device is very affordable. It features a time lapse video. This device is available unlocked.